Best 5 Apps to keep you running the Green Way! Being eco-friendly is easier than ever. These green phone apps help you to know what to buy, where to recycle, how to save energy and how to be a localvore, all ways to be more environmentally conscious all for 99 cents or less. My Recycle List lists everything that can be recycled. Materials include paint, paper, newspaper, household chemicals, old furniture and more. Based on the zip code or GPS location of the user, it shows recycling locations nearby that will take those materials. You can save a list of things you regularly recycle. 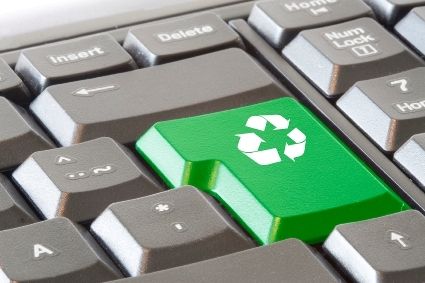 You can also save the contact information of the recycling centres. The app is made to integrate with the main website and covers the United States and some areas in Canada. This app is free. It’s worth remembering you can recycle your mobile and sell your phone to many websites and not have to have left dormant and chucked in draw at home. The Good Guide app helps shoppers identify the products that are sustainable, safe and healthy on the spot. To find out about any product simply select ‘scan barcode”, point the camera of the phone at the barcode on the product and see the ratings immediately for that product. More than 65.000 products are rated and more are added monthly. The product categories include personal care, household cleaners, food and toys. This app is free. Green Charging proves that saving energy, to be more green, can be so simple. Millions of dollars in energy are wasted each year by phone overcharging. The Green Charging app makes sure you don’t waste energy when you are charging your phone. Simply activate the app when you charge your phone and it will let you know with an alarm and vibrations when the battery is fully charged. Green charging also tells you the status of the battery and the percentage left of standby and usage. In addition it gives helpful suggestion about saving energy while using a cell phone. This app costs 99 cents. IGreen gives you up to the minute green news from a variety of green news sources. These include Al Gore, Green Biz, About My Planet, Green Computing, Azo CleanTech, VentureBeat, Hybrid Car Blog and other green news sites. The app makes use of the phone’s ability to let you see the news in any position that you turn the phone, even upside down. This app costs 99 cents. ILocavore is an app that supports the philosophy that eating local is healthy, saves energy and is good for the environment. This app helps users to easily find the sources of local products. It keeps you updated about local farmers’ markets, vendors that stock local foods, community gardening news, and even gardening tips. You can even look up the mileage that a certain item would have to travel to your location. This app is free. Great Eco information 🙂 In this day and age we should be all aiming to be much greener with our lives to make the place good for the next generation.